We are proud to bring together a unique collection of local vendors that were hand selected for their individual passions and high-quality products. 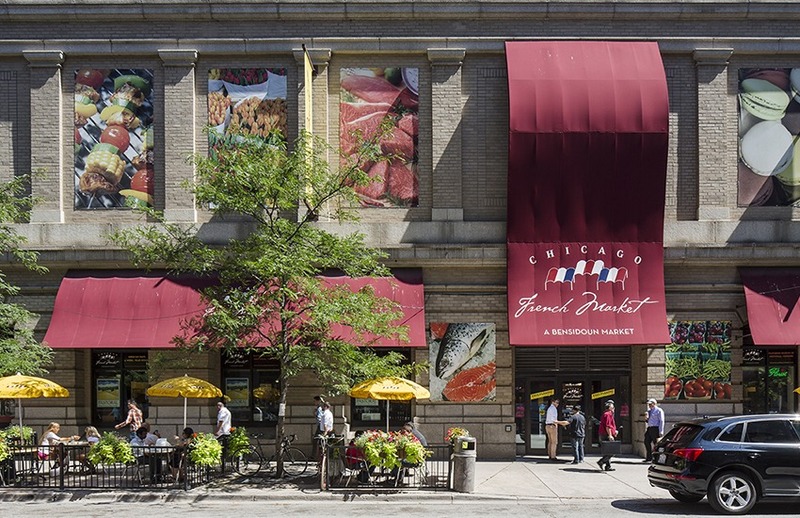 Bringing together the best-of-the-best from Chicago neighborhoods and outlying areas, Chicago French Market is largely comprised of entrepreneurs, family-owned businesses and accomplished purveyors. Featuring nearly 30 individual specialty vendors, Chicago French Market offers fresh ingredients for cooking at home, delicious grab-and-go options for breakfast, lunch and dinner, light snacks, picnics, easy party planning for home and office settings, plus meaningful gift ideas, all in one convenient location. Chicago French Market came about with the movement in America to support local farmers and artisans and bring back the European-inspired marketplace — providing you with year-round, permanent access to their local bounty. No other setting would be more perfect for this than the adaptive reuse and transit-oriented development, MetraMarket. The location helps create a compact, walkable community centered around a high-quality rail system. The Bensidoun family, the largest market operator in and around Paris since 1953, operates and manages Chicago French Market. The family operates nearly 100 open-air and indoor markets throughout the U.S. and Europe, including 11 Chicagoland outdoor, summer weekend markets. As with all local markets, our goal is to bring a sense of community found in the markets of Europe, and provide a place to gather, socialize and purchase quality goods.